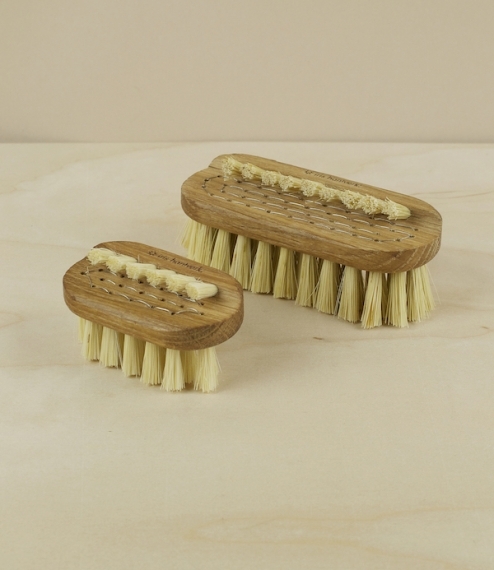 The classic 'Lovisa' nail brush, made from oiled oak and tampico fibre, from the Agave Lechugilla a plant native to the highland deserts of northern Mexico. 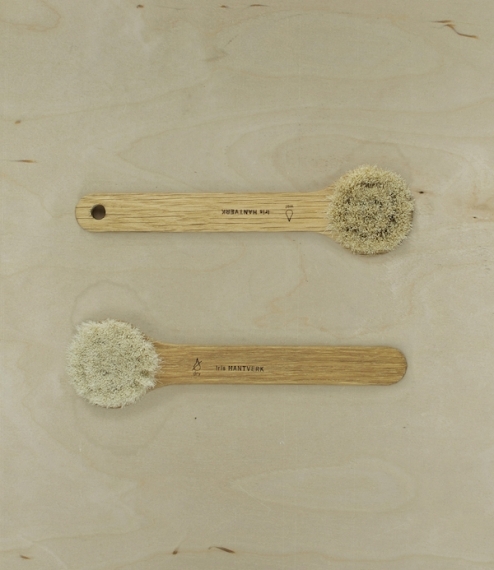 In Sweden, there is a tradition of visually impaired craftsmen finding work in the manufacture of brushes. This continues today in the form of Iris Hantverk, which not only employs over 30 such individuals but also produces some of the worlds most beautiful and high quality brushes. 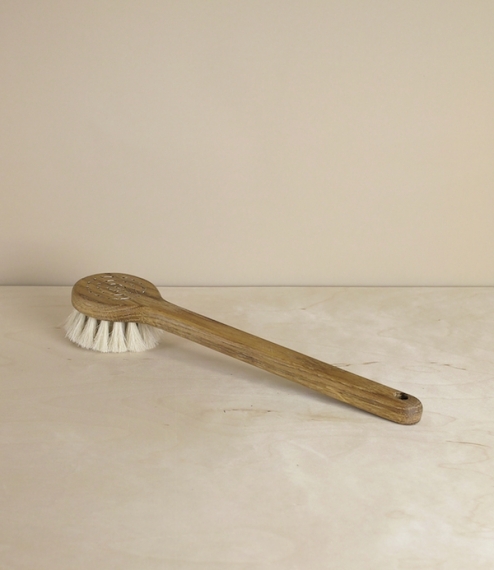 In two sizes, the standard (No.1) being about 10cm long for normal bathroom, kitchen, or utility use, or the travel (No.3) at about 6.5cm a smaller brush designed to fit easily into vanity cases and toilet bags.